The editor-in-chief of Midwest Book Reviews has given me permission to reprint editorials (and other things) from his newsletter. He must know how valuable what he has to say are for readers of this blog. They are, of course, readers looking for great new mostly alternative reading, reviewers who want more exposure for the books they cared enough about to review, and authors who like extending exposure for their favorite reviews (see submission guidelines in the left column of this blog!). There are a few others who come back time again like blog tour operators and publishers who care about the publicity their authors are getting! Today, my borrowings from Jim Cox are especially important because they help all those people compete for the limited space available for reviews these days when some 700,000 books a year are released. So listen up! Some sixteen or so years ago I wrote an article called "War, Religion, and Publishing" in response to the 9/11 attack in New York. I had quite forgotten that article until Mark R. Anspach (an author living in Bologna, Italy) submitted his book "Vengeance in Reverse: The Tangled Loops of Vilence, Myth, and Madness" and included a reference to my article in his accompanying cover letter as the reason that he thought I would find his book of particular interest. I think it still applies to the world as we see it today -- only add North Korea and the Russian corruption of the American electoral process to the mix. The reason I'm referencing all this is actually because author Mark Anspach's referencing that article in his cover letter [also called query letters] was an excellent (and effective) marketing tool used by him when submitting his book for review against all the competing titles for my attention -- and underscores the importance of the cover letter as a tool of persuasion. If you as an author, publisher, or publicist know something about a reviewer that would incline him or her to view your book submission favorably then use it. Perhaps you are aware that the reviewer has reviewed other books in the same genre or subject matter as yours. That's always a good 'opener'. It also tends to flatter the reviewer (who will have an ego at least as large as any author) that you are aware of their work. In the game of poker, 'suited connectors' (that is two cards of the same suite that are in line with each other such as 8 & 9, or King & Ace) has an additional 2% statistical chance of winning over two connected cards that are of different suites. That's called an edge. -- Knowing something thematically favorable about a reviewer with respect to your particular book gives you a similar kind of edge over your competition which is comprised of all the other books being submitted to that reviewer whose time is limited. Believe me, any reviewer that is competent and conscientious will always have far more books presented to him or her that he or she will have time to deal with. By the way, Mark's books turned out to be exceptionally well reasoned, written, and 'reader friendly' in organization and presentation -- and thematically in line with that old article of mine. You'll find the review for his book on the Midwest Book Review website this month (October 2017). Speaking of cover letters! I interviews more than 100 agents for the chapter in my The Frugal Editor to get their cover letter pet peeves. I edited them down to several and quoted them in the chapter. They were kind enough to help me help authors, I also listed them as a resource in the Appendix of that book. 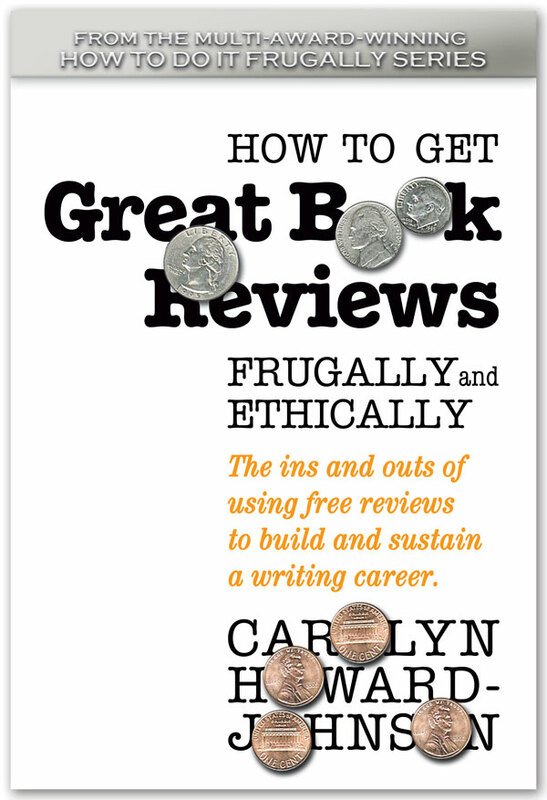 You will find more on cover letters in The Frugal Book Promoter and sample cover/query letters in both of those books.